The Moogician, Todd Charles, wearing his new Angel hand-painted shirt that features all things dairy — a cow, milk and cheese — in Miami. Angel specializes in custom hand-painted shirts, including this one for Todd Charles, who calls himself the Moogician. His act arose from his living on a dairy farm in upstate New York. He now mixes dairy products — he juggles cheese, milk and cowmedy — in his show, along with some down-home banjo pickin’. This is the third shirt I’ve painted for the Moogician, who lives in Florida. Tanya gave me my birthday gift last night, and…WwwwwwoW! This is the BEST ONE EVER, officially it’s my new favorite shirt!!! You’ve done an awesome job (again), and wanted to Thank You. Another customer sent a recent email, saying he had worn the custom hand-painted Zoolander shirt and headband (I painted for him) to a costume party — he won first prize! And yet another customer sent this photo of a young boy, Simon, wearing the T-shirt I painted for him for Christmas. He wanted a Kermode bear — a rare white Black Bear, called “spirit bears” here in British Columbia. Last fall, Desigual did a makeover of Angel, which now is a Desigual Wow Shop — the first Desigual boutique in Vancouver. Angel is having its Desigual winter clearance sale, offering up to 40% off. Angel also is having a 30% off sale on the other Spanish brands we have in stock at our store in Gastown: Smash!, Paramita & Compañía Fantástica. We ship worldwide, including free shipping in Canada for purchases of $250. Angel Vancouver is located at No. 2 Powell Street in the Gastown district of Vancouver, Canada. 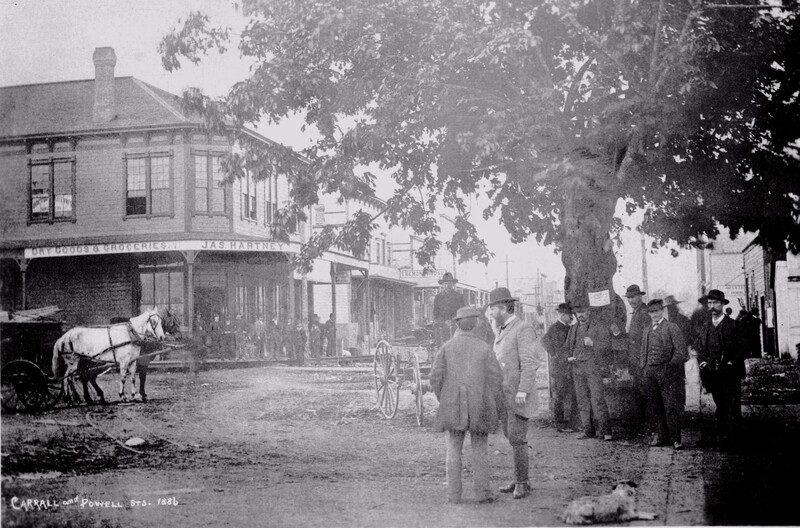 We are on the corner of Powell & Carrall Street in Maple Tree Square, where Vancouver began. The photo above shows what the location of my store looked like in 1886. David Bowie died last weekend at age 69, two days after the release of his final recording, Blackstar, and farewell video, Lazarus (his videos were viewed online 51 million times in one day this week, a new record). Much has been written and said about his burst of creativity and talent in his final days, and I think I’ve watched every Bowie video put on social media this week. But here are my three favourite Bowie videos. 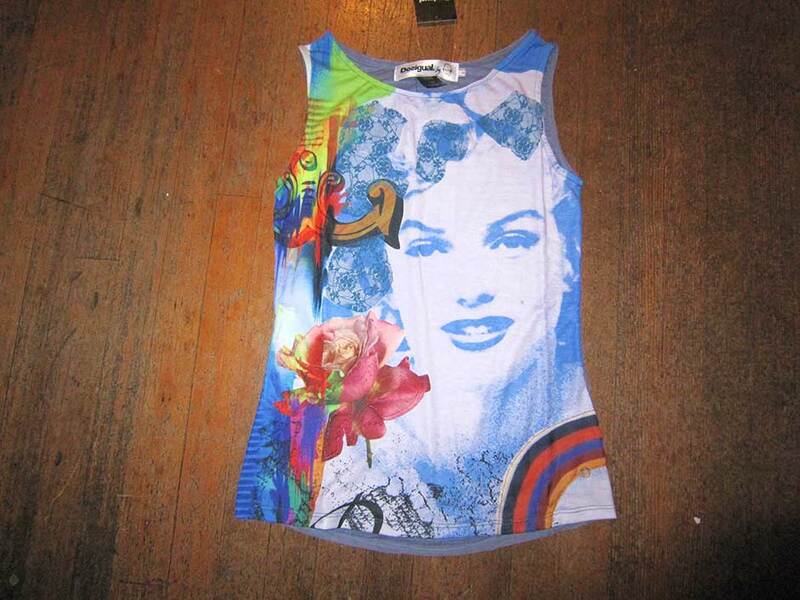 This entry was posted in Angel Hand-painted shirts and tagged Angel Hand-painted clothing 2016, Angel Handpainted Fashions, Gastown, La Vida es Chula (Life is Cool!). Bookmark the permalink. All of my favorite things in one post – Desigual, David and Freddie! Love!